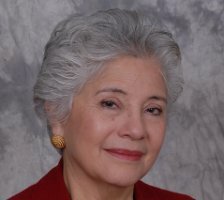 Dr. Sara Meléndez has over 30 years of experience in education and in the nonprofit sector. She has been a teacher, professor and education administrator, and CEO of two nonprofit organizations, most recently, for eight years at Independent Sector. She also taught in the nonprofit management program at the George Washington University. She has worked with nonprofits, corporations, foundations, and government officials in Eastern Europe, Israel, and Latin America on building the capacity of nonprofit organizations. The work has encompassed strategic planning, fund raising, message development, developing partnerships and collaborations, building board capacity and governance policies. She has consulted on multicultural issues and diversity in the corporate sector. Brigitte Savage has accumulated over 30 years of experience in fund raising and has been instrumental in raising over $100 million for nonprofits. She has worked with organizations in the arts, women’s and human rights, and was VP for Development and Membership at Independent Sector. She is CFRE certified and expert in all phases of development — needs assessment, case statement development, prospect research and cultivation, proposal writing, planned giving, direct mail fund raising, membership recruitment and retention, and conference and event planning. All partners serve on multiple nonprofit boards and Sara Meléndez served on corporate boards. Janice Petrovich’s career has focused on improving the life chances of those most vulnerable in societies around the world. She has pursued these goals locally, nationally and internationally in a variety of ways: as policy researcher, evaluator, grant maker, nonprofit and foundation manager. Through her work, she has sought to increase public understanding and implement programs that help to overcome structural obstacles to societal inequities faced by girls, women and racial/ethnic minorities. Petrovich was Director for eleven years of the Ford Foundation's global work in the fields of education and scholarship; sexuality and reproductive health; and religion, society and culture. This involved developing and implementing global strategies and the administration and oversight of annual grants in excess of $75M. She also served as CEO of ASPIRA, a national organization that works to develop Latino youth leadership and their educational achievement. She now dedicates the wealth of experience and skills she has accumulated to help nonprofit organizations and foundations strengthen their programs and evaluate their effectiveness to better serve their clients and causes. Emily Goulding-Oliveira is a grantwriter and founder of Girasol Consulting, a firm specializing in youth and community development. Her track record includes the John S. and James L. Knight Foundation, the William and Flora Hewlett Foundation, the Ashoka Innovation Fund, the California Endowment, the Kresge Foundation, the Kapor Center for Social Impact, the Inter-American Development Bank, Development Alternatives, Inc., and federal agencies including the National Endowment for the Arts, the National Park Service, the National Science Foundation, the Department of Justice, the Department of Health, and the Department of State. Emily holds a bachelors degree in Literature from UC Santa Cruz and a masters degree in Journalism from Georgetown University. Emily is originally from the eastside of the Los Angeles area, and lives in Brooklyn with her husband Roberson and their baby boy, Caetano.